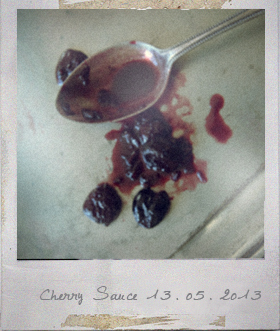 Cherry sauce is not just a pretty face. Preheat the oven to 350F / 180C. Sprinkle the pork all over with salt and black pepper. Heat the oil in a frying-pan over a medium-high heat. Add the pork and cook 4 minutes on each side until browned. Transfer the pork to a baking pan, roast for about 15 minutes. Heat the oil in a saucepan over medium heat, saute the shallot until softened. Add the cherries, port, stock, soy sauce, balsamic vinegar and a pinch of salt and simmer until the sauce has reduced by half and thickened to a light syrup consistency. 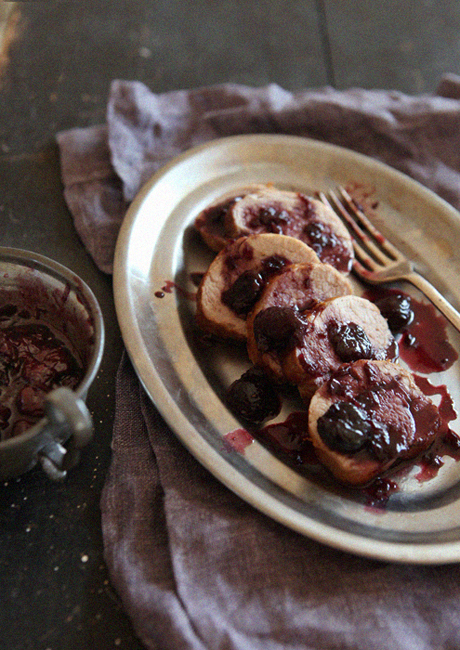 Slice the pork tenderloin and drizzle with the cherry sauce. You are currently reading Pork Tenderloin with Cherry Sauce at Fish Trip Cafe.